Dr Dawn Lavell-Harvard to Receive the 2018 Spirit of Barbra Schlifer Award! Award ceremony to take place during the Annual Tribute fundraising event. Dawn will receive the Award on June 7, at the Annual Tribute, the largest fundraising event for the Barbra Schlifer Clinic. The Tribute event, hosted by Blakes LLP, will feature CBC’s Kim Convenience star, Paul Sun-Hyung Lee, as the evening’ s master of ceremonies. 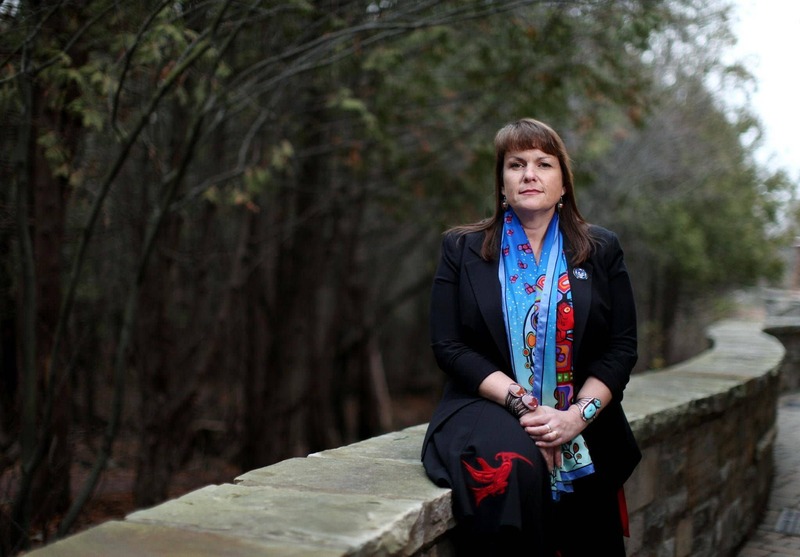 Dr Dawn Lavell-Harvard is a proud member of the Wikwemikong First Nation on Manitoulin Island and former President of the Native Women’s Association of Canada. An alumnus of Queen’s University and the University of Western Ontario, Dawn has dedicated the academic part of her career to the study of Education, including the experiences of Indigenous women and girls in Canadian secondary and postsecondary school systems. Dawn’s accomplishments include being named a member of the Independent Advisory Board on Senate Appointments, receiving an honorary doctorate of Education by Nipissing University, being Canada’s first Indigenous Trudeau scholar, and publishing a number of articles and books discussing Indigenous mothering practices and the effects of colonization and governmental oppression on Indigenous mothers. She has worked to advance the rights of Indigenous women as the President of the Ontario Native Women’s Association. In 2016, Dawn resigned from her position as the President of Native Women’s Association of Canada (NWAC), where she played an instrumental role in the launch of the inquiry into missing and murdered Indigenous women. While at its helm, NWAC released a list of 22 recommendations to help guide the inquiry, created with the help of indigenous female leaders, family members of murdered and missing indigenous women, and human rights experts from the United Nations and the Inter-American Commission on Human Rights. Dawn currently works as Director of the First People’s House of Learning at Trent University. She is also a full-time mother to three young daughters.